The Rebel Sweetheart. : Ink Ideas for the Tattoo Newbie. The ankle is a sensitive area of the body, and it is easy to cringe when you think about needles sliding over that sensitive skin. Yet, the ankle is one of the most popular locations for tattoos. Those who decide to get a tattoo typically make peace with the idea of a little pain, so the sensitivity of the area does not dictate the location of a tattoo. Young girls receiving their first tattoos often choose their ankle because they can easily hide the tattoo under socks, boots, and long pants. Young girls also tend to like the way a small tattoo looks on the side of the ankle. Larger tattoos may follow later on, but young girls can explore the experience with a simple ankle tattoo. Someone seeking a tattoo design to honor someone special may also choose the ankle because it is subtle. This type of tattoo may be simple and unremarkable to others who do not know the symbolism behind it, so the location is chosen to keep the tattoo private and close to the heart. 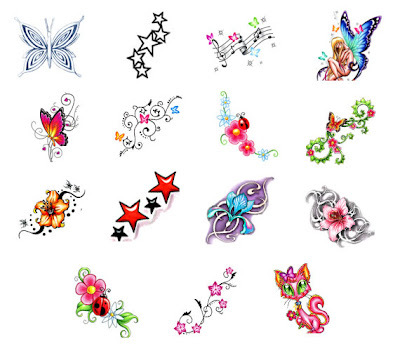 For examples of the various ankle tattoos now being designed, look at the printable tattoo designs at BullsEyeTattoos.com. While small, simple ankle tattoos are well represented in this online collection, many of the designs are also bold and alluring. These designs circle the ankle and grab attention with colorful designs that may not be expected on this area of the body. If you enjoy wearing ankle bracelets, toe rings, or even just flip flops, an ankle tattoo may be the perfect way to get creative with body art.